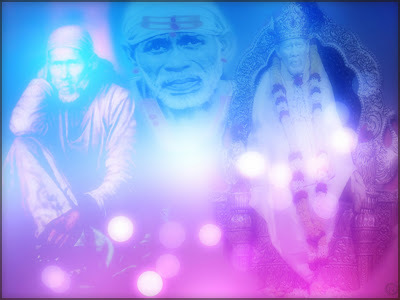 Like Shirdi Sai Baba Bhajans Blog, it has been a year since Shirdi Sai Baba Life Teachings and Stories Blog has been live on internet! Actually both the blogs were created on the same day. 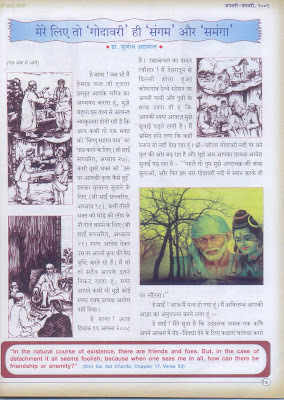 On this occasion, again I would like to thank Baba for selecting me for this responsibility, my parents for their endless support, my brothers, 'Sai Man' who encouraged and helped me to set up this blog and was with me till he was confident that I was independent, Sai brother Nimesh for sharing his creativity by making awesome pictures of Sai Baba for various festivals and for routine posts too. 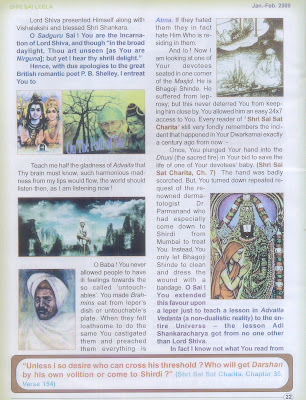 In the morning I had posted the few comments of Sai Devotees on Shirdi Sai Baba Bhajans Blog. 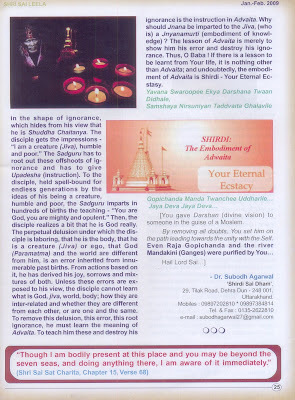 In order to avoid duplication of matter, I request the readers to please follow the link to read. Now coming to the main point of this post. As you all know Sai brother Nimesh has been making wallpapers and heart touching pictures with his creativity for this blog. He first mailed me in June 2008 and wished to share the pictures made by him to the world at large through the medium of my blogs. My immediate response was "Yes of course". Thus this journey started with a small mail which has proved to be big leap.